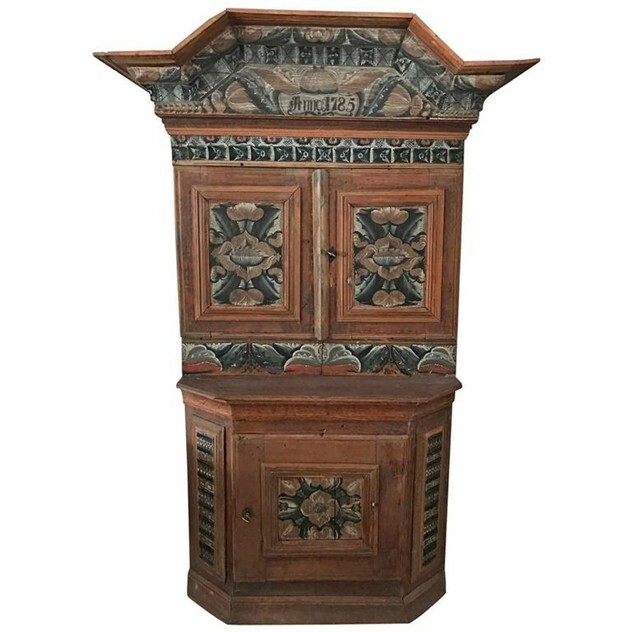 18th century Swedish cabinet, dated 1785 from Dalarna in Sweden. Original painting. Fantastic patina and condition. Very rare!